All you have to do is read the title to know that this isn’t one of those lovely “simplify it” articles. It’s no secret that I’m a fan of simple plans – yet sometimes, at the very tippy top of your ability, things need to get complicated when you try to move forward. We move from novice strategies of simple daily overload and recovery to weekly cycles to, eventually, detailed yearly plans of advanced strategies for progress. At some point, many climbers discover periodized training plans and see good success with them. Such plans don’t work for every class of athlete. One class in particular – the super-elite – tend to struggle more than most of us to progress. The window of opportunity is incredibly small and they spend a great deal of time close to their own genetic limits. Normal planning of overload and recovery, of long cycles, and of traditional pairings of volume and intensity no longer help these athletes move forward. 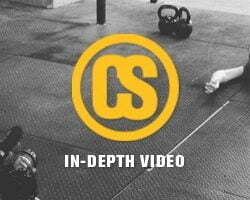 In traditional training plans, we look at volume and intensity as inversely related. This makes sense: you can do easy training for a very long time but can only do very intense training for a short time. How many moves of V0 could you do in a row…maybe 50? How about V13 moves? Because of this, plans adjust intensity across an entire training cycle in a linear fashion. Depending on which periodization system you look at (endurance-to-strength or strength-to-endurance), you’ll see intensity either increase slowly through the cycle or decline slowly. As intensity increases, volume drops so the athlete can continue to cope with the training loads. Normal weight lifting programs frequently progress from more endurance-oriented loading early in the cycle (8-10 rep max) to heavier loading in the end (1-3 rep max). In climbing, periodized plans moving both directions have shown very good success. The currently popular Rock Prodigy program moves from strength to power to power endurance in an aim to develop ability on single pitch routes. 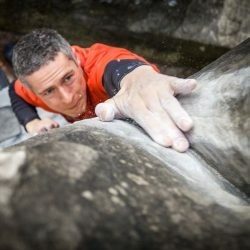 Elite bouldering programs are built the other way around, trying to lay down a base of volume on which to build massive power. Such “step-progressed” programs work…but not forever. Every climber should constantly be evaluating his progress, and honestly try to answer whether his program is producing the desired results. Always getting back into 14a shape season after season can only be seen as a lateral move, and could probably be accomplished with a much less complicated plan than the climber is using now. High Volume / Low Intensity: This is foundational base fitness training. This is where you can build good work capacity, alpine fitness, and injury-proof yourself. Medium Volume/Medium Intensity: This is where most of your training will take place. This allows for enough overload to gain fitness, but also enough rest. This combo can be sustained for several sessions in a row without a decline in strength. Low Volume / High Intensity: With this combination, you can best develop high levels of power and strength, and this is where you’ll see your highest peaks in performance. The downside is that your fitness drops off and your chance of injury goes up with too many of these sessions in a row. Low Volume / Low Intensity: Contrary to your reaction, this type of session is not just for the weak and lazy. This session is used to “flush out” the system, to practice technique, and to sustain training gains from previous, harder, sessions. High Volume / High Intensity: These sessions put your capacity to the test, as well as your drive and general toughness. High/High sessions hit you hard enough that you might need as much as a week’s rest afterward, but lead to greater gains down the road…after you stop hurting! Let’s look at volume variability first. In the 1960s and 1970s, sports scientists experimented with several possible distributions across training cycles. Realizing that constantly adding volume or intensity over the course of a season or cycle typically resulted in staleness or overtraining, Chernyak (1978) built several monthly volume distributions for athletes. He coined these “sharp” and “gradual” and learned that most of the athletes could handle total volume variations of around 60% between the highest and lowest weeks of the cycle. Nearly 50 years later, these numbers still stand. A typical month for a novice or beginner (or someone who “just climbs”) either has an equal distribution, such as 25-25-25-25 or a gradual one, such as Variant 4, 15-22-28-35. When you start using volume variants, gradual ones are the easiest to get your head around. But if you’re really stuck at a plateau, the sharp variants are the most effective at restarting progress. If you’re usually doing the same thing week-to-week, planning a volume distribution such as 35-22-28-15 will shake up the system just right. 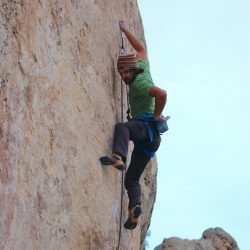 Let’s look at a specific example of volume variability applied to climbing. Power Phase for Rock Climbing Let’s say you train 3-4 sessions per week. We’ll assume you average 20 problems per session (after warm-up), meaning you do somewhere between 60-80 per week, and we’ll assume 240-320 per month. If we break down the training volume according to Chernyak’s distributions (based on 300 problems for easy math), you’ll see that your weeks break down to 45, 66, 84, and 105 problems per week. I understand that this amount of variation in training volume might make some people uncomfortable or might not fit in your normal schedule. This isn’t supposed to be easy on you, it’s supposed to be effective. Going above or below your normal volumes will both have profound and useful training effects. In the example above, the climber has a slow build-up in volume (variant 4), followed by a series of sharp adjustments at a presumably higher intensity, then has a taper leading to a major event or trip. In a following article, I’ll talk about bringing in greater stimulation by adding variants to intensity. In this article, though, we’ll use standard distributions of intensity. These numbers are adapted from training weightlifters, but the same numbers have been successfully applied in sprinters and in various anaerobic lactic sports. In skill sports, sticking to this distribution is simply staying smart. Volume builds skill…intensity (without volume) puts skill at risk. To put it together, you need to take your weekly volume and distribute problems across the intensity ranges. Let’s say your max level is V8. Using the volume distribution example from above, we can populate the chart below by applying the percentages in the Volume Distribution chart above to the total number of problems for each week. For example, 10% of the 45 problems in week 1 will be V1s…or approximately 5 problems. Stepping back and looking at the big picture, you’ll see that week 1 will feel “too easy”, and week 3 might tax you more than any other single week of training in your life. But by mapping out, in detail, the training you’ll do each week, you can be assured of getting enough volume across several intensities and will hold back when you need to hold back. Sticking with the same weekly duration of climbing at about the same intensity can only take you so far. When progress stops, it’s time to get organized.